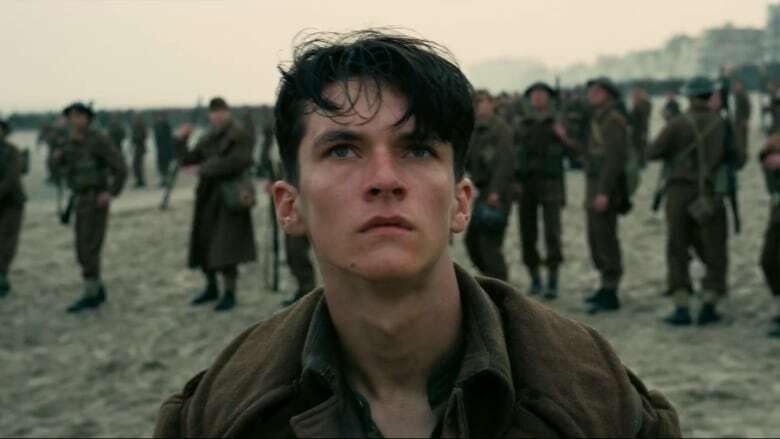 Christopher Nolan's war epic, Dunkirk, hit theatres this past weekend, marking the first time the British director has taken on a historical event as opposed to his previous hits, which explored science fiction, altered states of reality and, of course, Gotham's most famous vigilante. Accuracy and authenticity play a huge role in Dunkirk. Thankfully, the film got the seal of approval from a war veteran who lived through the actual events. Ken Sturdy, a 97-year-old Welsh native who currently lives in Calgary, Alta., attended a screening of the film on Friday night and it made him tear up to relive his time helping with the evacuation of more than 300,000 soldiers over the course of nine days. "It was just like I was there again," Sturdy told reporters. Sturdy was just 20 years old when he took off to Dunkirk with the Royal Navy in 1940, during what some called the "Miracle of Dunkirk." Having been forced to the edge of France by the German army, British and French troops were stranded on the beaches until the British military and a number of smaller civilian boats came to their rescue. "Many of those young fellows we lost were 18, 19, 20," Sturdy told another reporter. "I've lived a long, happy life, but I suppose this weekend my thoughts go back to all those chaps who were my age and didn't live a long life." Kelly Kwamsoos, a fellow moviegoer, added: "At the end of the movie I ran down the stairs and he was just wiping his tears away and I was able to shake his hand and give him a proper salute." Daniel Craig said he'd rather 'slash' his wrists than play Bond again. Well, he's back.